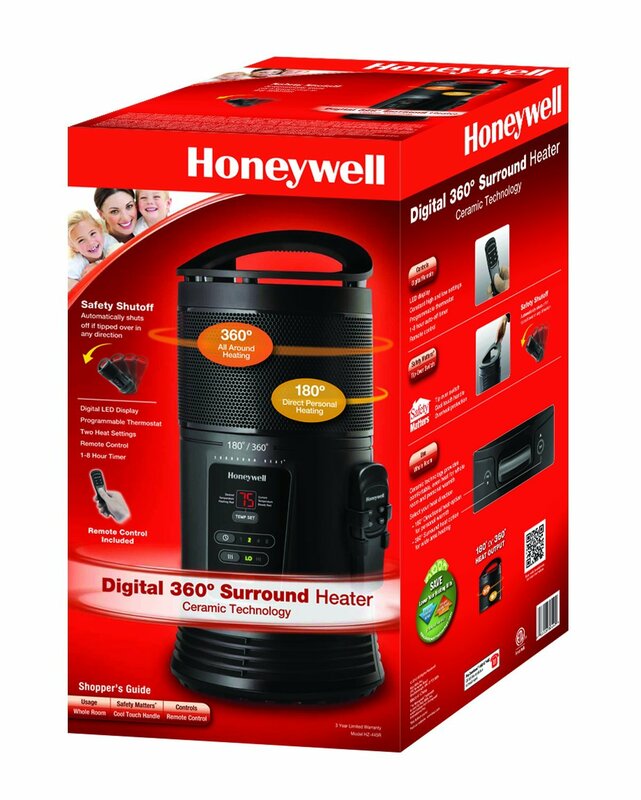 The Honeywell HZ-445R is a 360-surround heater with ceramic technology, just like the Honeywell HHF360V. It has a beautiful exterior that we absolutely love. It looks complete. But is it any good? What’s the feedback on this unit? To give you some answers, here’s a review. Let’s start this Honeywell HZ-445R review with a quick rundown of this indoor heater’s main features. – Control Panel. The Honeywell HZ-445R has a straightforward, but beautiful control panel. It has 3 buttons that let you turn the unit on or off, and adjust the following: timer and speed. Above the buttons is a screen that displays the current temperature of the room. – Features. This heater has a timer that lets you choose from 1, 2, 4, and 8 hours. Below the timer button is the speed button, which lets you choose between low and high settings. – Multi-Directional Heating. It has a 180-degree and a 360-degree heat output to ensure that all directions are covered. – Safety Shutoff. When the unit is accidentally tripped (in any direction), the unit shuts off automatically. – Remote Control. Yes, you can control this heater from afar. It comes with a remote control. Here’s a summary of feedback from previous buyers. – Heating Performance. 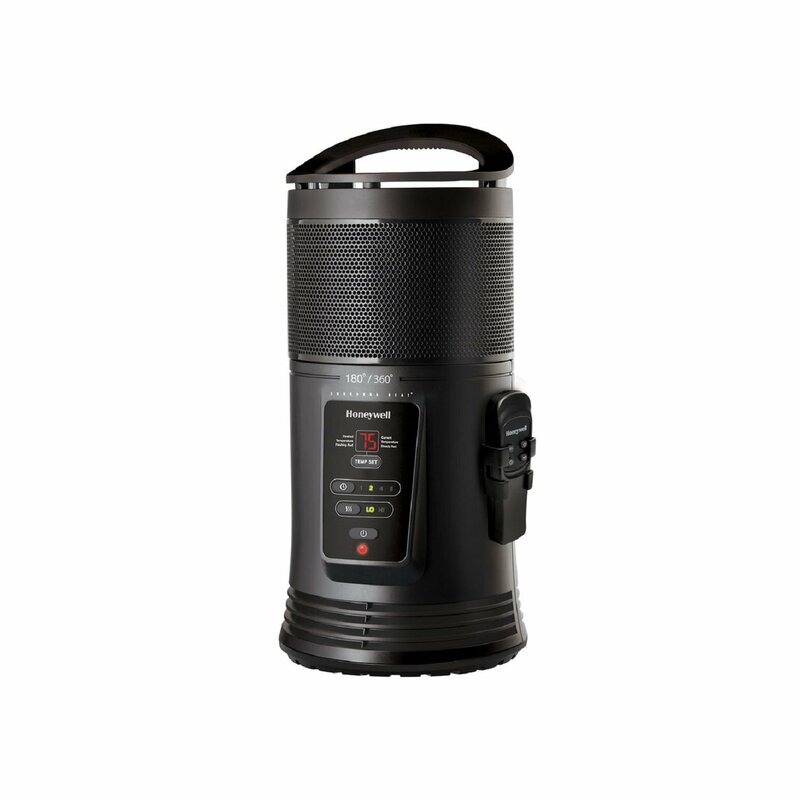 While some buyers are impressed with this device, saying that it warms up a room quickly, others are not as impressed. They say that it falls short on its promise to heat up a whole room. – Quality. There have been complaints regarding the quality of the Honeywell HZ-445R. Some people say that their unit died on them only after a few uses or a few months of use. – Size. This heater has a small footprint. Therefore, finding a place for it in your room should not be a problem. Storage is also equally easy. It’s advertised as a whole-room heater, but note that it can be smaller than expected. When it works, it can heat up a small area quickly and efficiently. That said, purchase the Honeywell HZ-445R with reservations.